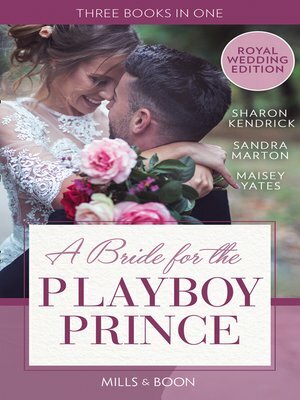 SPECIAL ROYAL WEDDING EDITION To celebrate the royal wedding, we've specially selected three glamorous, passionate stories! Designer Lisa Bailey knows she doesn't belong in Prince Luciano's world. Yet when one stolen encounter leaves her unexpectedly pregnant, Luc is determined to claim his queen! Prince Draco Valenti wears his icy exterior like a suit of armour.... until he meets lawyer Anna Orsini. While they're at odds in business, in the bedroom Draco's desire for Anna melts his defences. Matchmaker Jessica Carter arranges marriages that work. And that's exactly why Prince Stavros Drakos has hired her. Yet no other woman ignites as intense a passion in him as Jessica does... It's time for these rebel princes to meet their match!